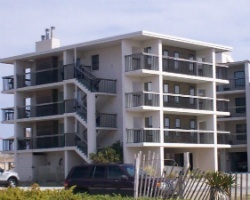 Vacation in your own oceanside condominium at *Ocean Villas II*, located in Nags Head on North Carolina's Outer Banks. With a beach on site, you'll find water activities are plentiful. Fishing, sailing, and windsurfing are available nearby. Take a tour of Roanoke Island (the site of England's first settlement in America) or the Wright Brothers National Memorial in Kill Devil Hills. Hike the 100-foot-high dunes of Jockey's Ridge State Park, while the more adventurous can take hang-gliding lessons. To discover more, visit http://oceanvillas2.com/. 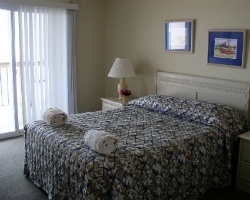 Come enjoy the many attractions in the Outer Banks! Week 44! Buyer may receive a title fee credit, inquire for details!